“There is going to be a revolution that’s 100 times the size of the mobile revolution,” claimed Saman Farid from Comet Labs, a San Francisco-based venture capital firm and research lab dedicated to AI. His point helped kick off an hour of lively debate precursing what’s meant to be two days of illuminating discussions at GMIS 2017, Synced’s first Global Machine Intelligence Summit taking place in Beijing this weekend. To help GMIS get some buzz on the other side of the Pacific, Synced’s west coast team invited local specialists slated to appear at the summit to Comet Labs for a fireside chat. 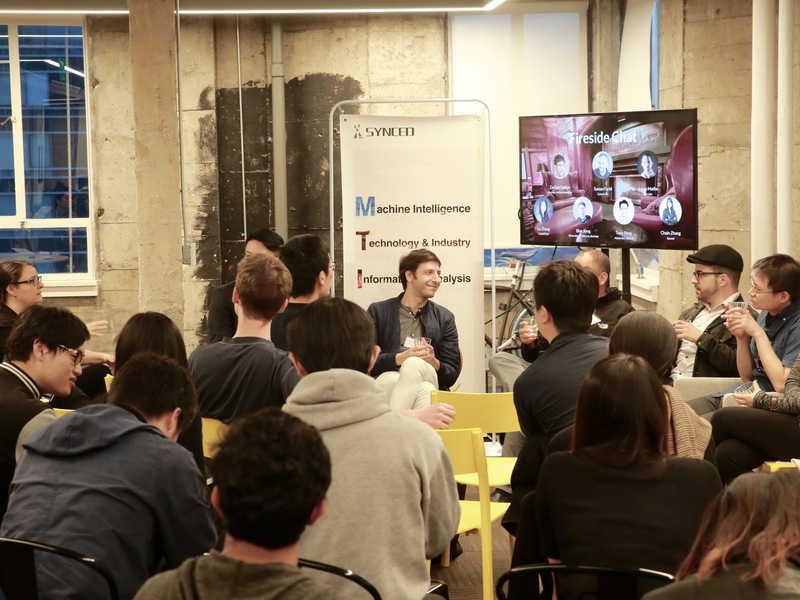 Led by Synced’s US journalist Tony Peng, the talk meandered from the implications of interdisciplinary research to the dynamics of globalization in machine intelligence. On the academic side, Zachary Lipton a Ph.D. canditate at UC San Diego added, “We have to be careful with, ‘the technology always being there,’ I think it’s a statement that could be taken to literally. What I think was always there was the core ideas…[but] if you went in 2000 and said hey I’ve got a data set, its got ten thousand pictures of cats and ten thousand pictures of dogs, give me a cat vs. dog classifier, you couldn’t do it.” One of the breakthroughs that is allowing MI to become so applicable across disciplines today is the ability to use domain-specific data to train machines, eliminating the need for human knowledge. The evening wound down with questions from the audience, another round of drinks, Chinese buffet and networking. For more information read: 8 Day Countdown: Technical Spotlight on the Global Machine Intelligence Summit 2017 or visit event official website.